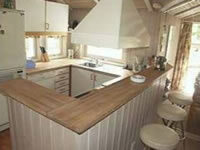 Fully contained Danish Summer house close to the endless beaches and picturesque villages of West Jutland. Ejoy a great holiday in a unique part of Denmark. Private rural setting featuring 3 double bedrooms plus 2 single beds (sleeps up to 8), newly fitted bathroom with sauna and whirlpool, fully equipped kitchen, airconditioning, large outdoor patio and many more great features. Close to local amenites, restaurants and beaches - the perfect location for a summer getaway with a difference. 25% deposit required on booking. Fully payment to be made 1 month prior to arrival. 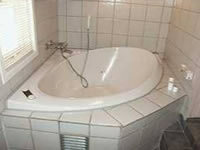 Weekly rates run from Saturday 2pm to the following Saturday 12pm. 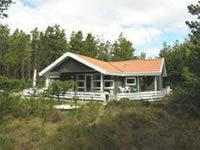 Great opportunities to enjoy the great Danish outdoors and all its activities. 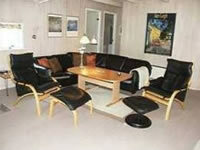 Surrounded by woodlands but only 5km to all local amenities, plus just 45 minutes from Esbjerg international airport. 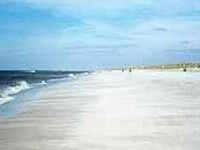 Close to the untouched and beautiful beaches at Henne Strand and beyond.